There was a time when I thought it would be cool to be a photographer. I think that was because I was a teenager during the 1960s, very influenced by the movie Blowup, Twiggy, Jean Shrimpton. If I couldn't look like the latter two, maybe I could just photograph them. The 1960s were a very stylish decade. I was thinking about this as I continue to take terrible photos of the books I've read. Why don't point and shoot cameras do just that? I can't figure out how to avoid the glare of the flash and maintain the clarity of the focus. And I can't be bothered to learn how to work my old Pentax. Anyway, off subject. 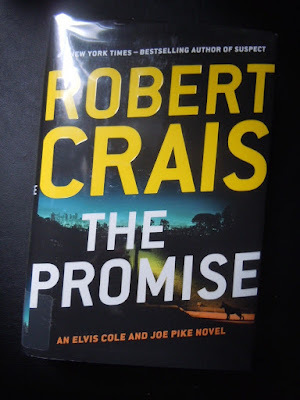 In my last post, I lamented the lack of Joe Pike in The Promise, by Robert Crais. I noted that the characters I liked best were Maggie, the military / police dog, and her handler Scott James. I mentioned that they should have their own book. Well, duh, they do. 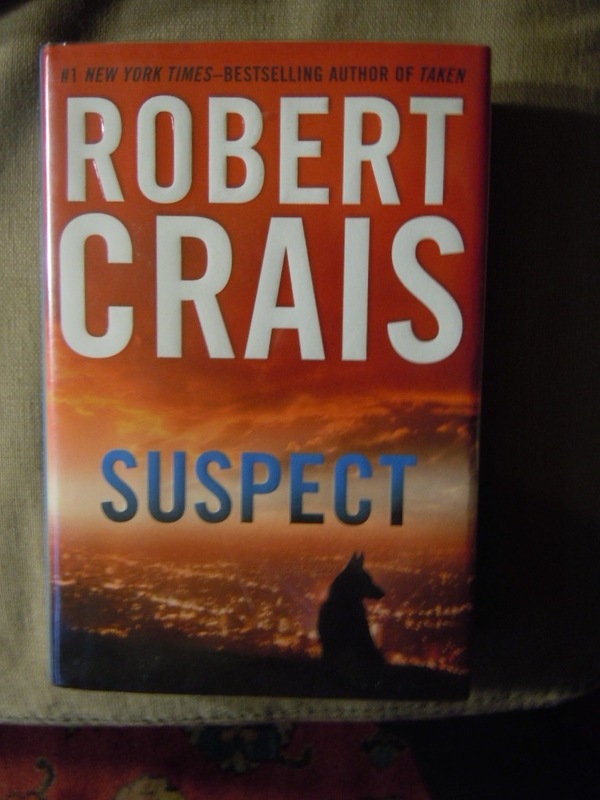 I skipped Suspect because it wasn't an Elvis Cole / Joe Pike book, so I missed Maggie and Scott's stand alone book. Scott James is recovering from being shot and losing his partner. They had stopped, at his request, to enjoy the quiet of an LA night when they witnessed a vehicular ambush. Two men in a Bentley were gunned down, his partner Stephanie was killed, and he was badly wounded and left for dead. Scott is now assigned to the K-9 unit, although he's not really a dog person. He meets Maggie, an ex-Marine explosives sniffing dog, also recovering from being shot and losing her handler in Afghanistan. They connect, they bond. They've both survived the same trauma. The case of who shot him and killed his partner has never been solved. Scott is determined to find the perpetrators. He gets a lead on a witness, and then the witness is killed. Scott's clearly on to something. He doesn't know who he can trust in the police force because he starts to suspect that someone in the unit is involved. But he can trust Maggie with his life. I liked Suspect. I love dogs (and all animals). My heart was in my mouth when Maggie was in danger and I teared up when she showed the bad guys how far she would go to protect Scott. These professional, working dogs are amazing. I was beginning to think that November would pass and I wouldn't have finished any books. But I surged forward recently, finishing these three books. I've been reading mostly library books lately. You know how it goes: you read about a book that sounds interesting, you put it on hold at the library, you wait and wait, and then all six books you put on hold are available at the same time. 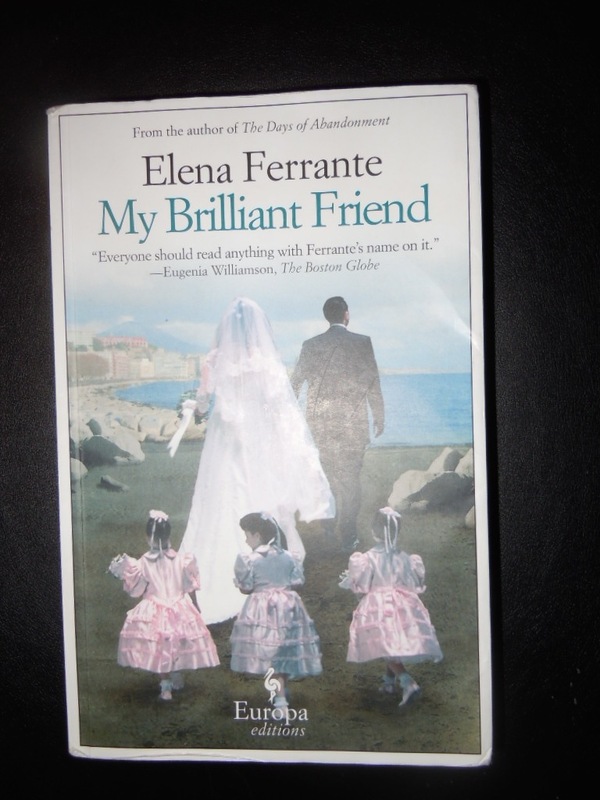 My Brilliant Friend and the other three books in this series are enjoying a recent boom. MBF was published in the US in 2012 and, apparently, went pretty much unnoticed. I was excited about this book, the story of two girls growing up in Naples, and although I enjoyed it, I don't think I'll bother to read the others. The characters didn't come alive for me. There wasn't a whole lot happening, just the progression of life. Not that that can't be interesting. It just wasn't for me. Undermajordomo Minor was a delight! I heard it discussed on a video podcast about books that is one of my favorites. The Book Club (which used to be The First Tuesday Book Club) from Australia read it. I love quirky books and that's the best word I can find to describe it. It reminded me of Titus Groan, Alice in Wonderland, the film The Grand Budapest Hotel, and some campy 1960s things. A young man, Lucien, a.k.a. Lucy, is ill and is visited by a man who may be God, or may be a local beggar. Lucy is cured and goes off to find a new life, since his girlfriend dumped him. 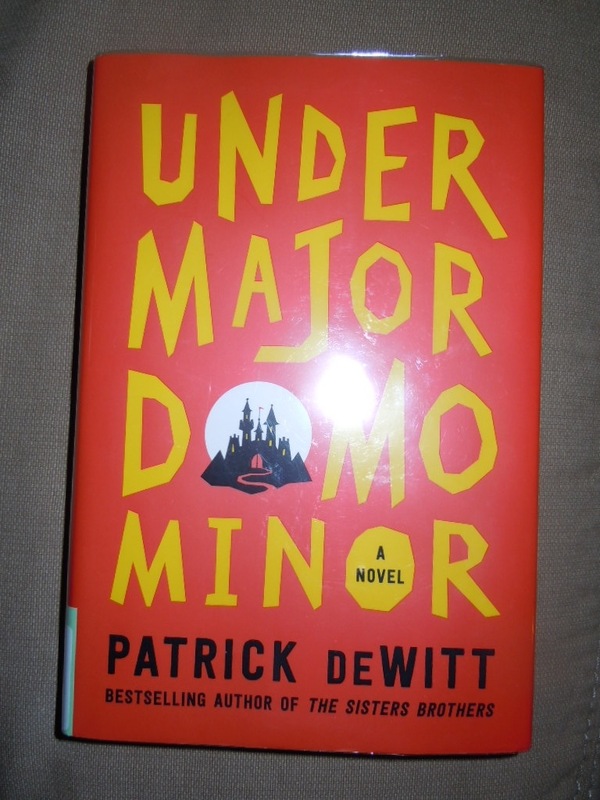 He gets more than he bargained for when he takes a job as an 'under majordomo' in the castle of a mad baron. It's a madcap adventure and I loved it. I was looking forward to the next Elvis Cole / Joe Pike mystery, so I was excited when I sat down with The Promise. But I ended up being disappointed. I love Elvis Cole and Joe Pike, but there wasn't enough of either of them in this book. Joe barely appears, does almost nothing, and then disappears. There are some other interesting characters in the book, Scott James and his K-9 dog Maggie. Maggie is an ex-Marine bomb sniffing dog who has been wounded in battle. She could have her own book and is the real hero in this one. I hope there will be more Elvis Cole / Joe Pike books, but I hope they're more enthusiastic in them than I am about this one. I guess I haven't done too badly in November so far. I have a few more library books sitting around .... and some more on hold. If you've read many of my posts, you know that I spent most of my life in New England. I lived in and around Boston for much of that time. We lived in southern New Hampshire for a few years, when we had to buy a small farm for our Irish Wolfhound, Morgan. Doesn't everyone do that when the puppy outgrows the apartment? Jack and I miss Boston, but the real estate market there is crazy. $1,000.00 a sq. ft. is too much to pay. I'd give a lot to get into a time machine, go back to the 1980s, and NOT sell our condo on Beacon Hill. But I can't find a time machine. The next best thing is to visit as often as possible. We've been renting a condo at the corner of Beacon St. and Bowdoin St. for several years, just for a week or two at a time. It's across the street from the State House and Boston Common. I love just staring out the window at the Common and the skyline. Sunrise or sunset, it's equally beautiful. Boston is a walking city but also has a terrific subway system. It will drop you off in front of Symphony Hall or the Museum of Fine Arts or the Science Museum. People complain about it, but they should have ridden the Green Line back in the 1970s. The Boston T will take you almost anywhere within walking distance of where you want to go. We always walk down to Waterfront Park while we're there. We used to sail out of Charlestown, so we sit and dream about those days. One of the cool things near the waterfront is the Rose Kennedy Greenway. This is what the city did after the expressway / Rte. 93 was submerged. Yes, that was The Big Dig. What can I say? But they made gardens and parks on top of the hidden highway and they commissioned the carousel. It's got sea turtles, foxes, barn owls, and tons more animals and creatures native to Massachusetts. Have you ever ridden a lobster? Here's your chance! While Philadelphia is in the process of demolishing its gorgeous old theaters, here's what Boston does with theirs. In fairness, Emerson College owns the Paramount and several other theaters in Boston and has restored them. The narrow white building on the right of the Paramount in the photograph below is the old Opera House, which has also been restored. Anyone know where I can get a time machine? Despite a very chaotic month, I managed to read a few books. I was too lazy to blog about most of them. Sorry. Here they are. I didn't like this one as much as I liked So Big. I plan to read Cimarron one of these days. The Toby Glendower / Penny Spring archeological mysteries are usually good. I like them so much that I tracked them all down on the Internet. This one, which took place in Brittany, didn't hold my attention. Maybe that was because I read it in the middle of some of the aforementioned chaos. This was purely a distraction for me. I came away with a completely different perception of Penny Marshall, of Laverne and Shirley, actress and director. I didn't think it was particularly well written and it jumped around a lot. It was more like a casual chat than an autobiography. I especially enjoyed City of Shadows, a suspense / murder novel about a woman who pretended to be, Anastasia, the youngest daughter of Tsar Nicholas II. It's got a kicker of a surprise ending. Annie Haynes is all the rage at the moment. I bought three of her mysteries for a few dollars for my Kindle. This one was good, so I'm eager to read the others. This was one of those books where I wanted to reach into the pages and shake a few people for being idiots, though. I also liked Thunder Bay, which is one of the series about Cork Corcoran, an ex-sheriff who solves mysteries in Minnesota. It's full of action and I like the deep woods locales.